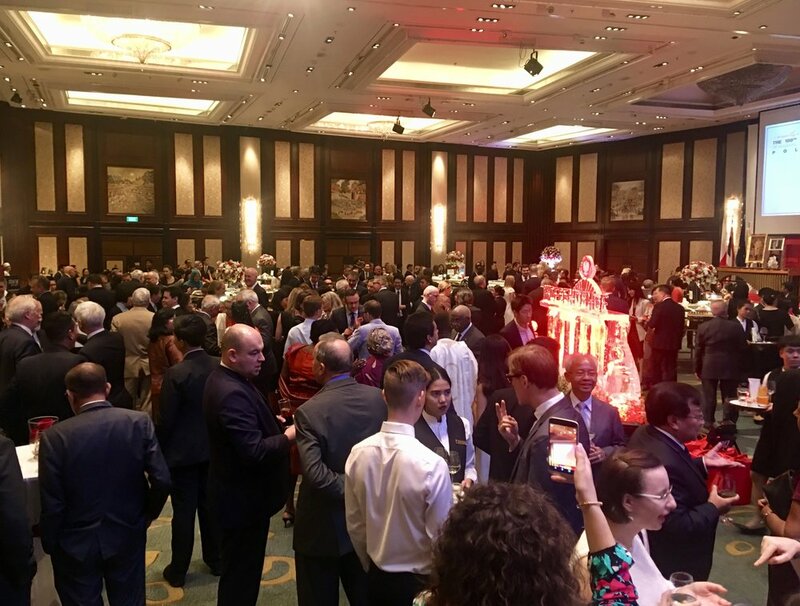 To celebrate the 100th anniversary of regaining independence by Poland, the Polish Embassy in Bangkok organised a reception at the Shangri-La Hotel. It was an honour for me to be invited to participate in this special event with my artwork. For this occasion, I created a series of colourful, fun and whimsical paintings titled “Pictures of Poland”, depicting different Polish cities, food and landscapes. As a thank you from the Polish Embassy, each of the guests also received a postcard sized print of one of the paintings to take home. 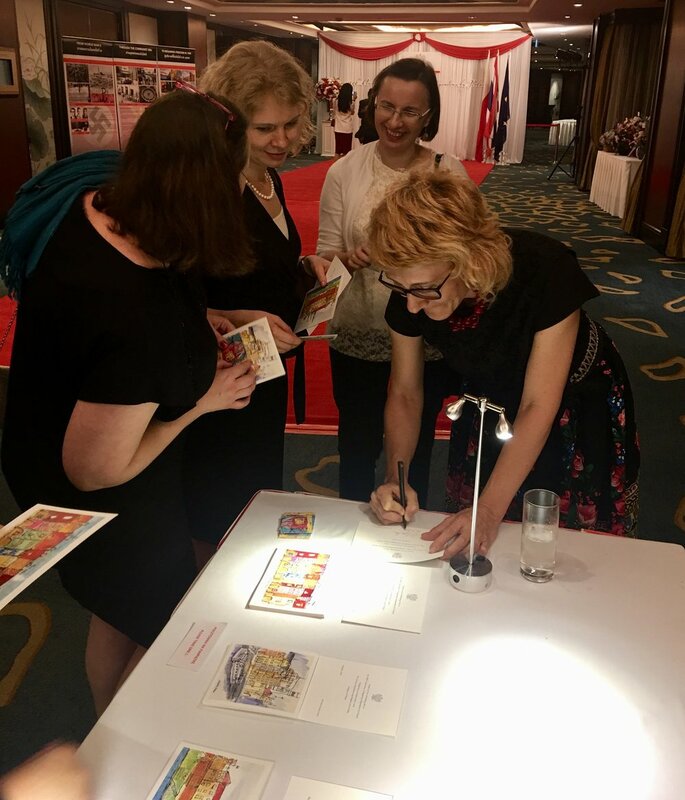 Everyone enjoyed the music, good food and the positive atmosphere, and for me it was wonderful to be able to discuss my art and Poland with so many of the distinguished guests, and it was overwhelming to receive so much love and positive feedback from everyone. A great way to celebrate such an important occasion. 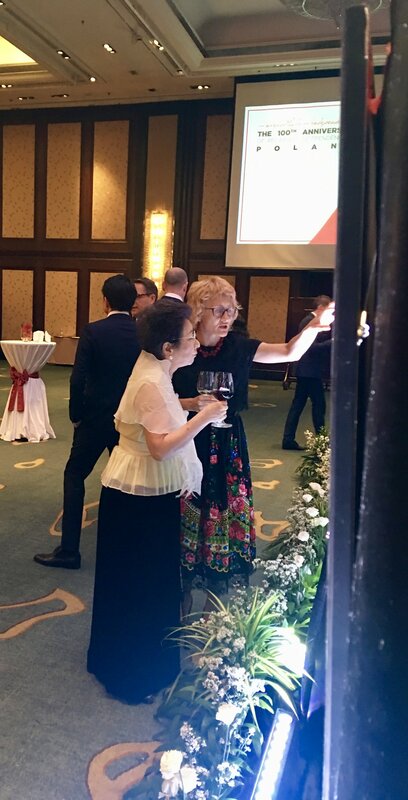 Special thanks to the Ambassador Waldemar Dubianowski and Ewa Dubianowska, as well as to everyone at the Polish Embassy in Bangkok. Dziekuje!